Purna Yoga Classes - Classical, alignment focused hatha yoga incorporating philosophy, meditation and breath control. Open, general classes, suitable to all levels, no need to book. Blocks, belts and bolsters are available to be used to support and modify postures safely. All our classes are suitable for both beginners and experienced students. Each Centre instructor has their own unique style and approach to teaching that has been approved by Byron Yoga Centre. Come and experience a gentle and holistic yoga class in a peaceful space surrounded by nature. This beautiful healing sanctuary is the perfect place to relax and tune inward. If you’re wanting to find balance, peace and flexibility in both body and mind this is the class for you. When we still the body & slow the breath we can still the mind, If we still the mind we can tune into the deep peace that is always present. Relax your body, rest your mind and connect with your heart and soul. This Class is open to beginners & more experienced practitioners of yoga. Different variations will be given where appropriate. Please bring a yoga mat if you have one, pillows and blankets are provided. There are some mats provided too so please bring a towel to place over the mat. A gentle, meditative class that is both opening/releasing & strengthening/stabilising, with plenty of pauses to feel, hear, & simply rest with yourself, welcoming all that is. Much care & attention is given so that every woman practices safely for her stage of pregnancy & whatever symptoms she may be experiencing on the day. Kirsty's popular Yang/Yin class where we flow through the vinyasa to warm our bodies in standing postures & inversions finishing with slow holds, pranayama and meditation to finish in blissful peace & stillness. A beautiful, well rounded class in a private studio setting surrounded by lush rainforest and wildlife. Suitable for all levels & drop-in's welcome. Props & variations are provided for all the postures ensuring you are safe yet challenged! Kirsty is highly regarded for her experience in multi teaching to all levels. Specialist Pregnancy teacher Soflana is a qualified Pre-natal Yoga instructor, Doula & Mother of 8 beautiful children. She has been working along side birthing specialists & expectant mothers of the Byron Shire for the past 15 years. Soflanas passion for birthing continues to empower many women to ‘birth from within’. Women can have the experience of being empowered to enjoy the transformation and healing that can occur during these precious months with Soflana. 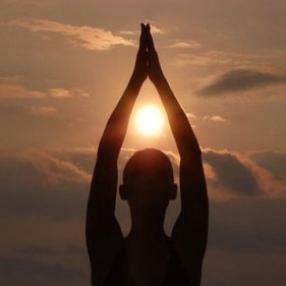 Akhanda Yoga is a holistic Yoga practice of traditional Hatha Yoga, covering all aspects of a complete Yoga practice. Including Pranayama (Breathwork), Asana (or Postures), Mantra (or Devotional Chants) and Meditation. If you have never tried Yoga before, an Akhanda Yoga class in Byron Bay is wonderful introduction for beginners but there are always options for advanced or seasoned practitioners alike. By the end of class, you will feel whole and balanced. This is a beautiful gentle nourishing class that allows the support for the body to relax, let go and truly experience how it feels to be supported. It is a class that invites the mind and body to surrender. I teach by candlelight. It is a deeply nourishing practice. Classes include a vinyasa flow of postures that is intended to challenge you on many levels. Each class revolves around a focus based on ancient wisdom and emphasizes the importance of practicing with an elevated intention. Chanting, meditation, and inspiring music are always included. Jivamukti Yoga is a method that integrates the physical, philosophical & spiritual aspects of Yoga, $20 per class. This is an open level class, however, some yoga experience is helpful. Classes begin September 2, 2015. 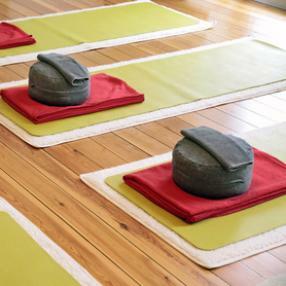 This is an intermediate level class based on a classical Sivananda Yoga Class. Variations are given for beginners and for advanced practitioners. Open to all levels.